Yet Another Noodle Dish | What's To Eat Today? Oh look, it’s another noodle dish. Tonight we’re having chicken Yakisoba. 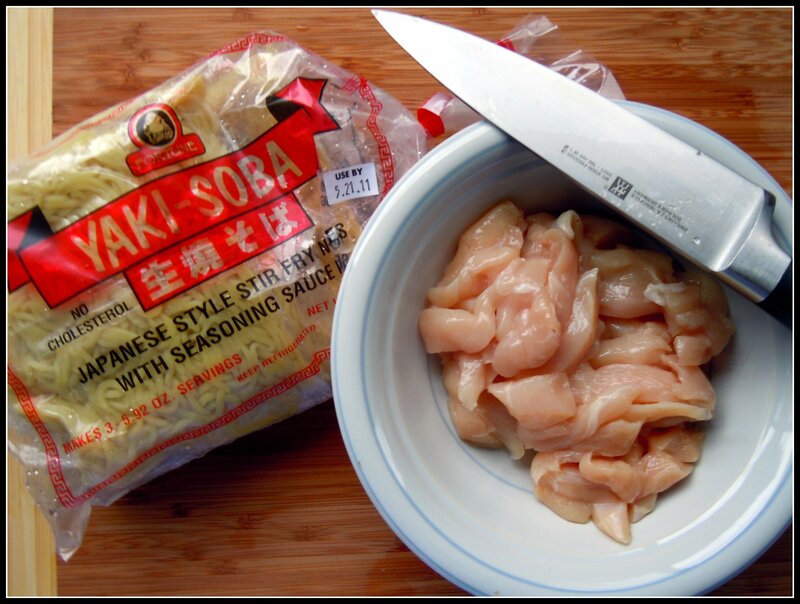 Boneless skinless chicken breasts cut into small pieces and of course, Yakisoba. 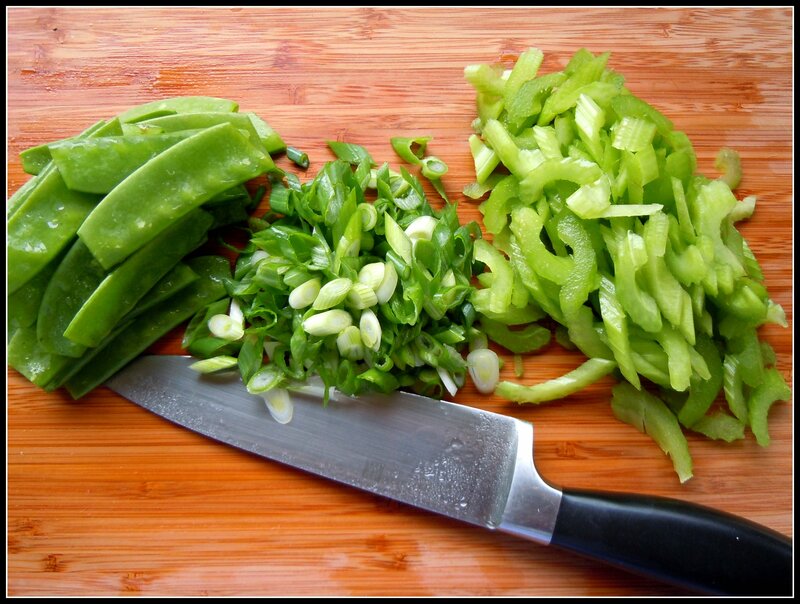 Snow peas, celery, green onions cut into small pieces. High heat, a tablespoon or two of oil in a pan and do a quick stir-fry on the snow peas and celery. Set aside in a bowl. Get the pan HOT again and throw in the chicken. Add some minced garlic, red chili flakes and soy sauce and cook thoroughly. Add Yakisoba and continue to stir-fry. 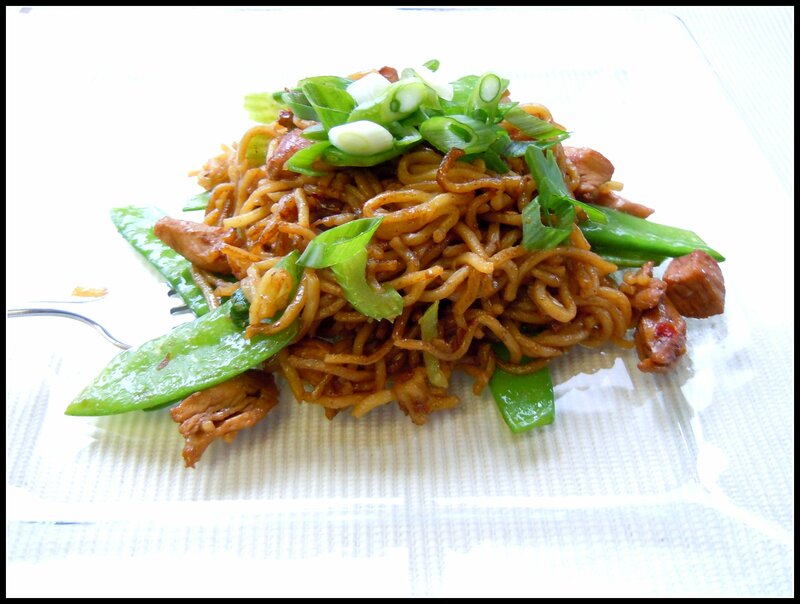 Once the noodles are heated through, add the snow peas and celery to the pan and stir-fry for another minute or two. Serve while hot — garnish with green onions. This looks mighty fine-I didn’t realize it was so simple to make.I’m going to have try it out….Thanks for the inspiration! It is easy & quick. I forgot to mention that to separate the yakisoba you can either microwave it for a minute or you can rinse them under hot water. They do have to be separated before tossing in for the stir-fry part.